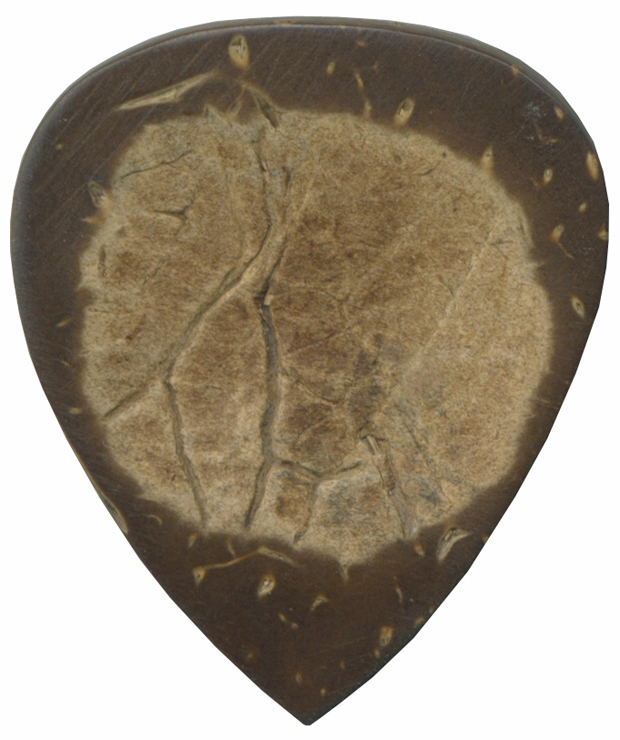 * Coconut Shell is a durable and bright organic material that you are sure to want to add to your guitar pick collection. * It creates increased volume during play and has very tough and dense properties. * Each pick is hand-made with a smooth polish on one side and an indented, roughened grip on the other side.